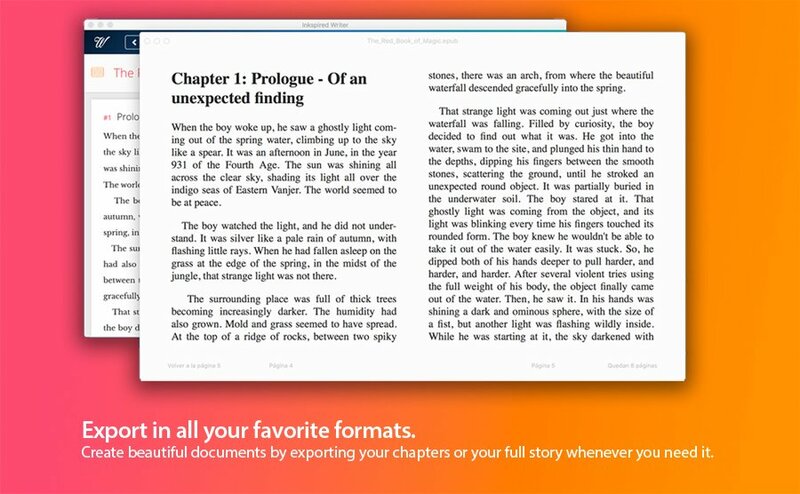 Introducing Inkspired Writer for Mac & Windows. Made for fiction authors and creative writers. 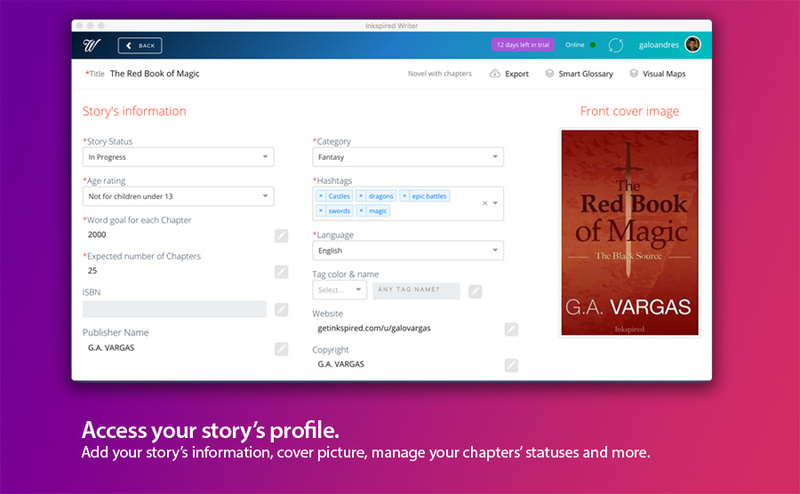 Identify all of those key aspects of a story - characters, places, events, chronologies,... and relate them to each other to get a visual map of all your story and its progress: get to know what's happening at every time. 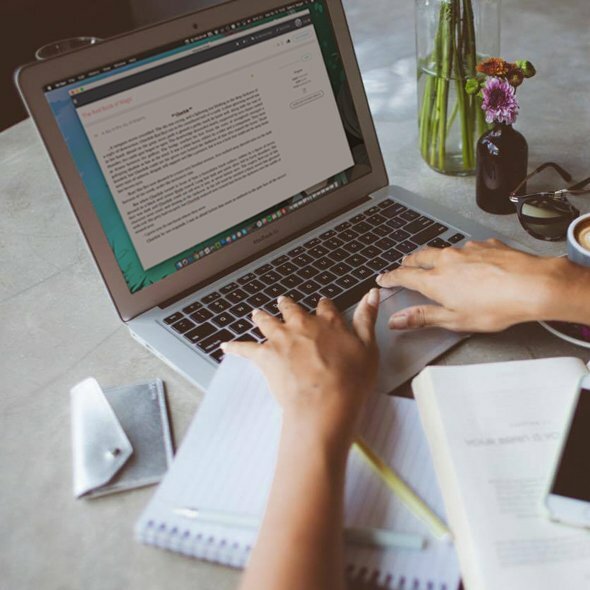 Your books, stories, scripts, and everything will be synced and backed up in our Inkspired Web platform; never worry about losing your content again. Tired of using different tools to get the formats you need? Inkspired Writer will let you export your content be it in PDF, ePub, HTML or many other formats. 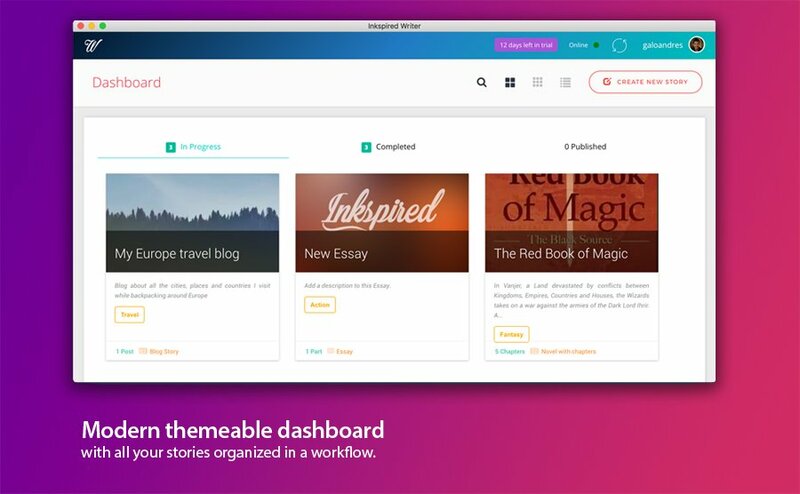 Publish right from your computer to Inkspired, and your other favorite digital publishing platforms such as Wordpress and Medium. It has never been that easy, convenient, and fast. Get a Premium experience of writing. 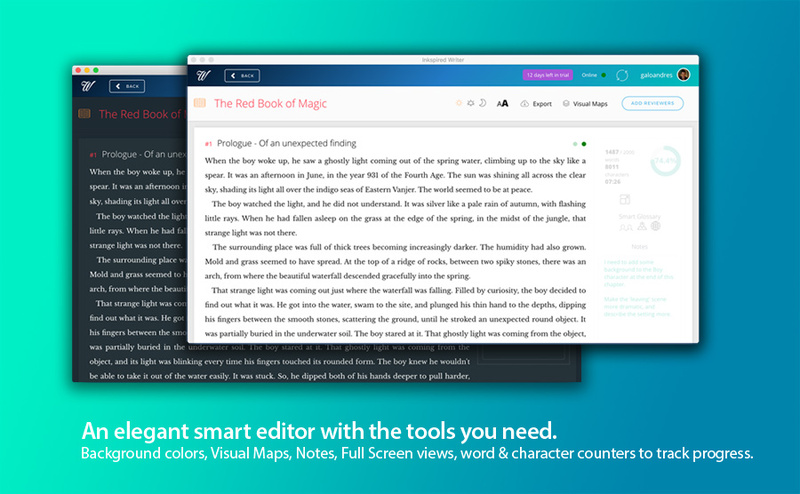 Write with a rich, easy-to-use and slick user interface that will make you fall in love with every word you type. Never forget who your characters are, where they are, what is happening, and do not miss details about the events or places where your story is unfolding. Use our Visual Maps of Chronology, Genealogy and character's Relationships to get an insight where your story is at every moment. 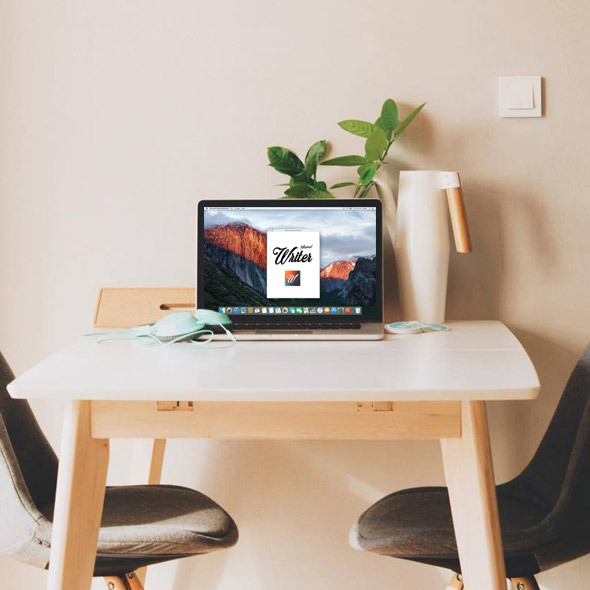 Take it with you everywhere, write at anytime without interruptions or internet connection, and sync your stories with the cloud later on. Your favorite stats for writing are here as well: be it the word or character count, the reading time, the length, goals, and much more. Everything you could possible need as a fiction author, now at hand and focused entirely on your story. 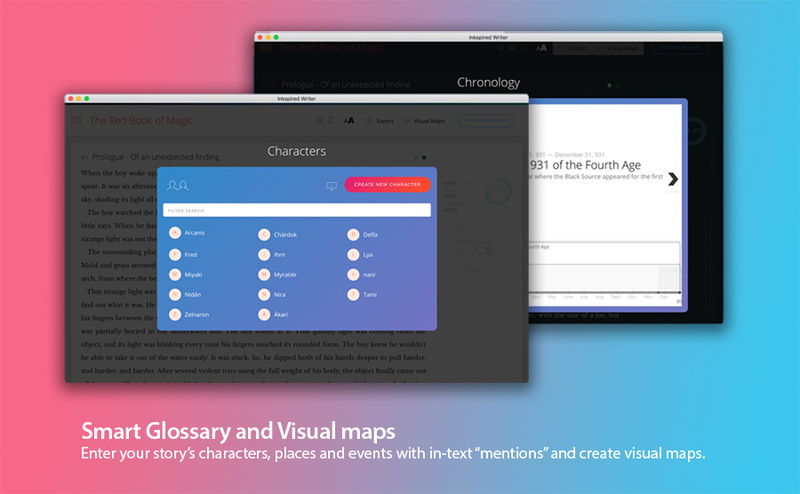 Text formats, themeable background colors, progress tracker, and much more. Forgot to save? We got you. Forgot to back up your information? We got it! Want to have everything in the Cloud for easy access everywhere? Done! Add your favorite reviewers to your drafts and get their comments on your text online. Some times you need to take your content out with you, and you need to try different tools to get what you exactly need. Be it a Word file or even a eBook file, Inkspired Writer removes that layer of concern for most of us, writers. 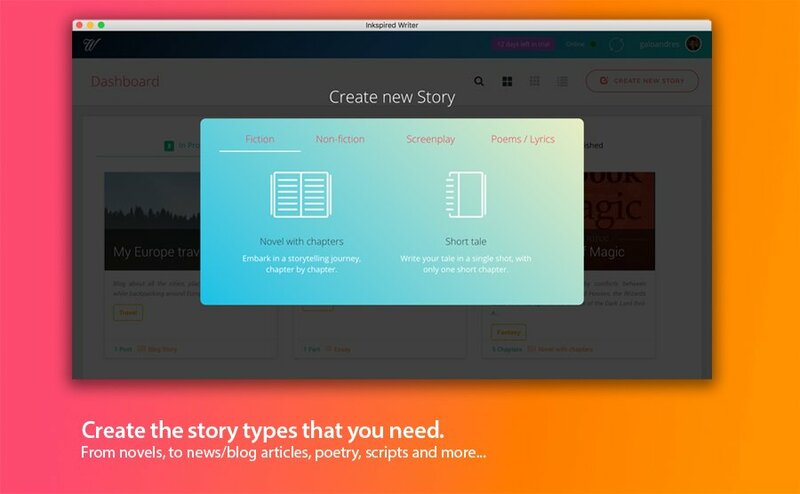 Ready to start creating your new fiction story? Beautifully hand crafted by an amazing team of writers, designers and engineers located from warm Ecuador, to northern Canada. We want to bring you a one-of-a-kind, modern and innovative experience to get the most out of your creative writing. 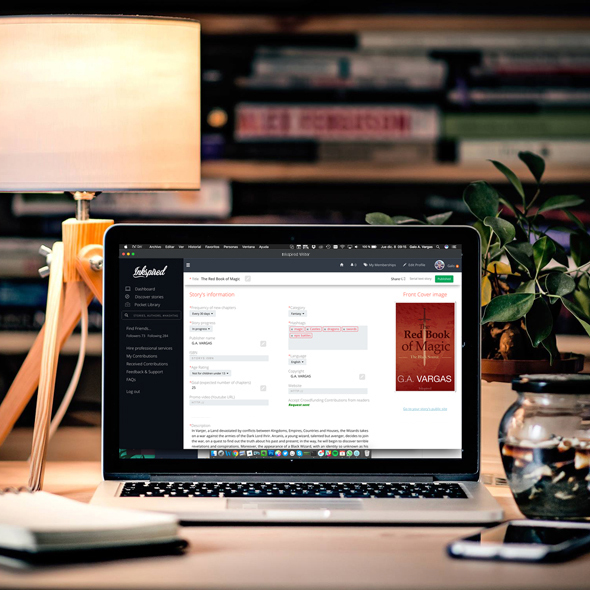 Becoming a Writer Premium Subscriber lets you access the full potential of the Writer app. a Premium Subscription for a limited time. System requirements MacOS X 10.08+ -or- Windows 64-bits. Read more.